By far one of the most exhilarating surfboards I’ve ridden in a long time, the Speed Whistle Single Fin surfboard combined a varied mix of old school and new school tricks into one board. I called this board “NOLD School:” New Old School. 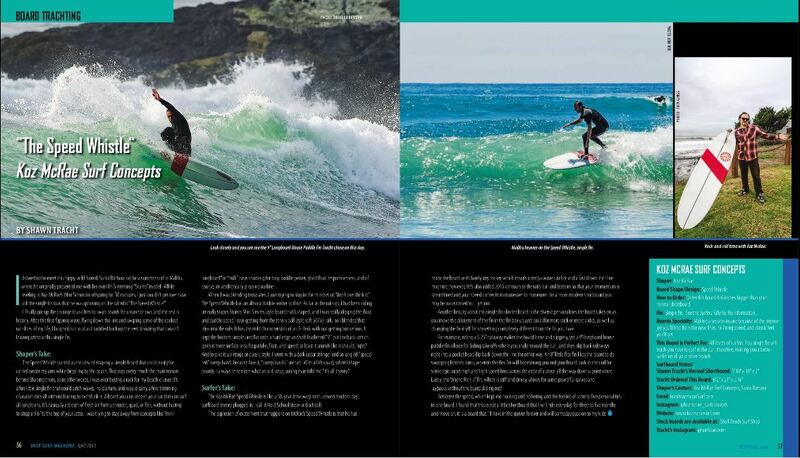 It combined the idea or riding a single fin…old school, with 2015 contours and shape design…new school. If you’ve been in the mood for adding some newness to your quiver, but you already have a collection of shortboards, a twin fin swallow tail fish, a log, et cetera, but your really want to add a new mood to your daily surf session, this may be the new stick for you. This board works in all conditions, but works best in knee to head high surf. The single fin works best at any wave that is peeling, so points, reefs, or a good lined-up beach break are the call for this board to work best. One thing I would add to this board if I were to order it again, is to add a set of quad boxes around the single fin box. The reason being is because this board outline really is suited to surf bigger waves and mushy waves because of it’s round outline (good for holding in on big waves) and it’s super flat bottom with hardly any rocker (good for surfing flat or mushy waves), however, a single fin doesn’t assist with hold and drive, whereas a quad fin surfboard does. So by adding the quad to this board, it would add stick, hold, and drive so that it was more suited to surf bigger waves and less than perfect waves, whereby making the board more versatile.